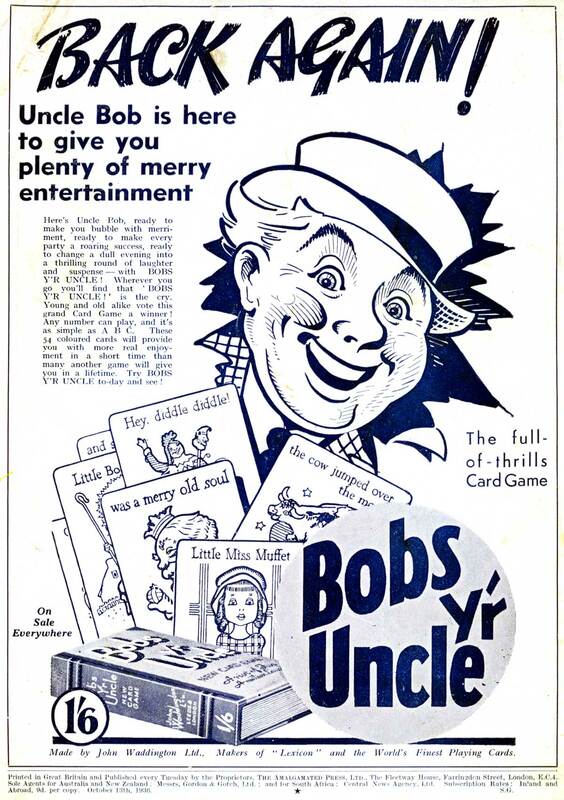 Described on the box as a “new card game, a riot of fun, a million laughs,” Bobs y’r Uncle is a nursery rhyme game designed by Frank H. Simpson for John Waddington Ltd. in 1935. The game is clearly designed with children in mind. 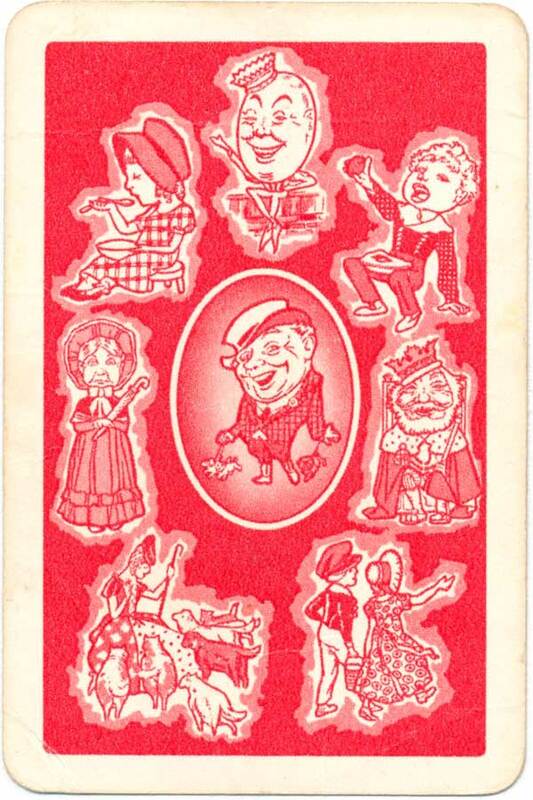 The cards have scenes from nursery rhymes and six cards are needed to make up each rhyme in a set. Games turned out to become an important part in the progress of Waddingtons, who eventually acquired the rights to Monopoly in the UK, and then published Cluedo, opening the way for their supremacy in the toy industry. 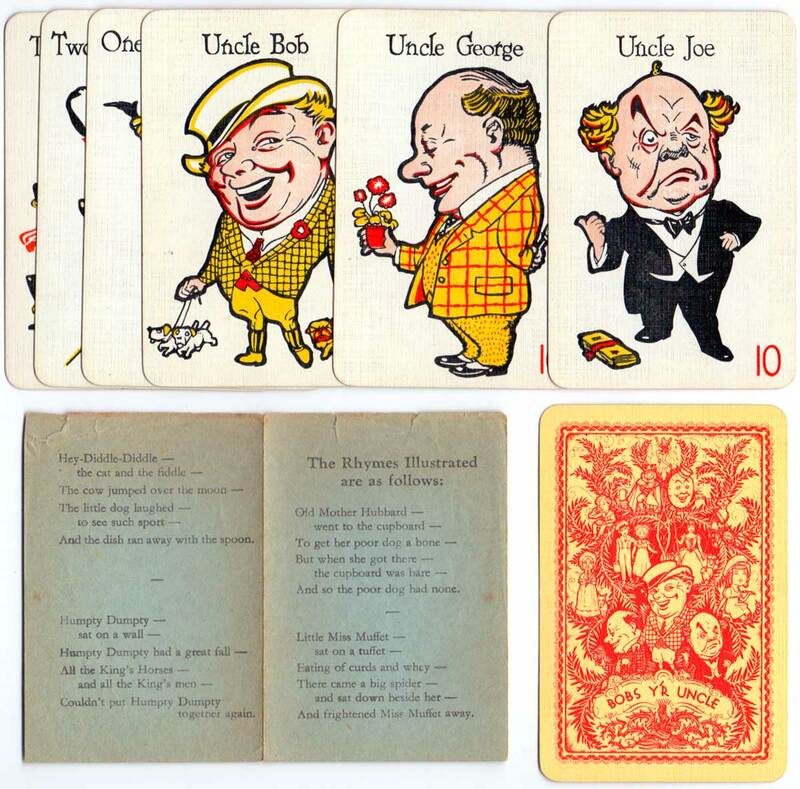 Above: “Bobs y'r Uncle” nursery rhyme card game designed by Frank H. Simpson for John Waddington Ltd. in 1935. The pack contains 54 cards plus nursery rhyme leaflet + rules in a box. 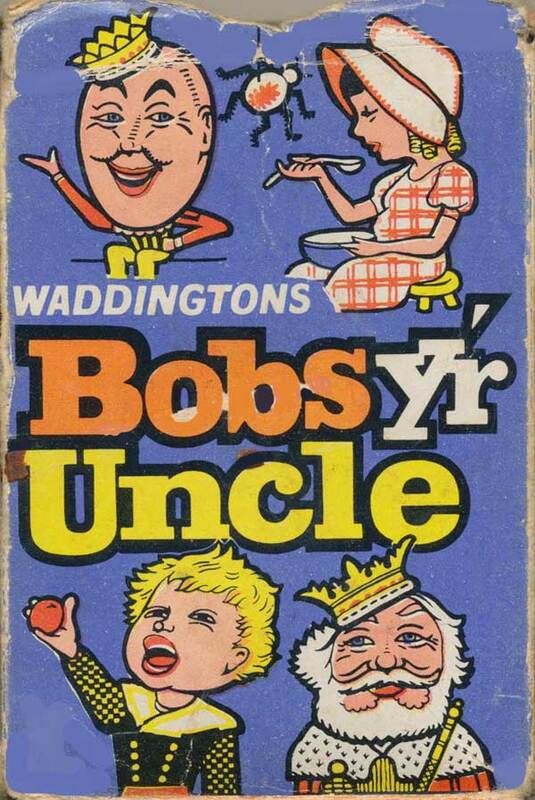 Above: “Bobs y'r Uncle”, 1963. Images courtesy Matt Probert.